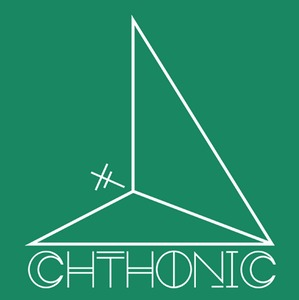 Showcasing experimental video, real time sculpture forms, sound based installations and interactive animations, Chthonic is an experimental projection based research outlet for level 1 BA Interactive Design students. This ‘student as producer’ initiative aims to explore new technologies and the notion of ‘Sound & Vision’. Thursday the 21st Friday the 22nd of April hosted the second annual festival in the BA ID studio, which will aid future developments and discussions throughout their academic journey. A continuing success is the inclusion of a student screen and sculptural submission. Chthonic hopes to further develop this programme in 2016/17, running workshops across schools and encouraging direct engagement with the interactive arts. A precursor profile of the event was developed through a Blog a 'work in progress' digital diary, web site, Facebook and regular 'Tweets'. Designed by the students this simple, conversational, communicative approach helped engender a sense of ownership of the project for followers and all who took part. It also gave added value to the relatively brief event - allowing people to follow and comment on our progress leading up to Chthonic and to later reflect on and share their thoughts with the community. Future events will be used to highlight the programmes intent to deliver ‘S.T.E.M.’ based initiatives under the ‘T’ (technology) arm. Once established, STEM-net will allow the programme / staff to build stronger profiles, and more importantly draw down grant based research streams. The Interactive Design programme will build projection-based initiatives into more ‘student as producer’ and ‘all year days’ within the coming year to build momentum towards the ‘Frequency Festival’ proposals.